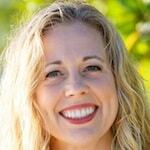 Kristie DeKoker is director of donor development at Orbis International. She helps compassionate people find the most meaningful ways to help people in need. Giving can be very fulfilling – even transformational – if done well, and she enjoys connecting people with opportunities that improve lives and change the world while bringing joy to the giver. She has raised funds for nonprofit organizations for nearly 20 years, and she is particularly passionate about empowering women and children and addressing root causes of poverty. Previously, she founded the Salama Center in Tanzania to support orphaned children and the families with whom they live, and served as board president of Better Future International. She also worked for Touch Foundation and VillageCare. She graduated from the University of Alabama and currently lives in New York City. Ninety percent of the world’s visually impaired population live in low-income settings, and many lose their sight simply because they don’t have access to eye care. Women, who make up two-thirds of the world’s blind people, are especially at risk. Orbis, which partners with local hospitals in emerging economies to create customized eye care training programs, suggests it's time to rethink health care, and to do it through the lens of gender equity.